One of the key lessons in my positive reinforcement course is mat training. In mat training you teach your horse to stand on a mat with the two front feet. Once your horse knows what is expected of him, you can turn this exercise into a powerful tool to teach new behaviours. Build ‘duration’. This will help to teach your horse to ground tie. Place mats in the arena and use them to send your horse from mat to mat. If you want to know how to start mat training with your horse, read this post. At the SPCA barn were I teach the horses with positive reinforcement, I work with 5 horses. Last week I introduced the mat (a foam puzzle mat) to four of them. It was really interesting to see how each horse reacts in a different way to the mat. Horse #1 tried to avoid the mat in the beginning and did everything not to step on it. He didn’t even sniff the mat at first. So my first criterion with him was clicking for ‘moving a hoof closer to the mat’. It didn’t take long before he figured out that the mat had something to do with the clicks and he started pawing the mat. Well done! Horse #2 sniffed the mat right away. It could be that she had seen that the mat had something to do with earning a click and reinforcer or maybe she just has a different personality and training history. After sniffing, she started touching the mat with her nose. She knows how to target a target stick and a cone with her nose. My first criterion is always ‘interact with the mat’, so I reinforced the sniffing and touching with the nose. Then I raised the criterion to ‘touch with a hoof’ and I had to ‘set it up for success’ by manipulating the environment a bit. I put the mat in front of her feet and asked to touch the target stick which I held far enough for her to do one step. Indeed she touched the target and stepped onto the mat with one hoof. Then I faded out the target stick and she figured out quickly that touching the mat with her hooves was the way to earn clicks and food. Horse #3 started pawing the mat right away. This horse has a habit of lifting her legs in order to ask for attention, during feeding time or if she is stressed. If she doesn’t get what she wants, she often alternates legs. Mat training is a good way to teach her to ‘keep her 2 front feet on the floor’ since this is incompatible behaviour with the leg lifting she does. She is amazingly smart and was the first horse that stood properly with both of her feet on the mat within the first session. It seemed to ‘click’. I have clicked for ‘4 feet on the ground’ many times during previous training sessions. The mat clearly helped her to focus on ‘standing’. I can’t wait until our next sessions to build duration. Horse #4 stepped on the mat right away as if he wasn’t aware of it. Of course I clicked and reinforced for stepping onto the mat, even though it really looked like he didn’t see the mat. After reinforcing stepping onto the mat a few times I placed the mat a bit further away and he immediately walked over there to stand on it. Bravo! He did step on the mat on purpose. Each horse reacts differently to a mat, depending on his character, history, experience with new objects, clicker experience and so on. How did your horse do in the first session with the mat? How did mat training helped you in other situations? Please share your story in the comments below. Thank you. 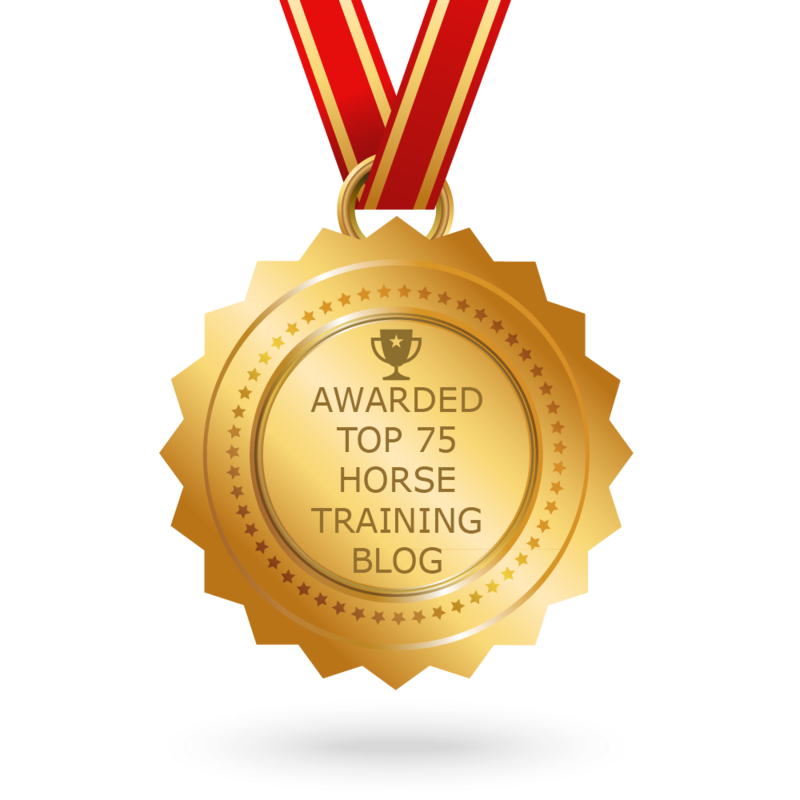 Earlier this year I wrote about the key lessons (your keys to success) for horses. Not only the horse needs to be set up for success, but also the trainer. These three Key Lessons are for Trainers*). They will help you reach your goals quicker and enjoy the journey more: a training plan, a shaping plan and a training diary. *) This was written in 2015, meanwhile I kept developing myself as R+ horse trainer and as positive reinforcement coach. I found three other indispensable skills or traits for Trainers that help you become successful quicker, communicate clearer and help you avoid struggle and falling into common pitfalls and I added them to HippoLogic’s Key Lessons for Trainers. 6 Key Lessons for Trainers are 1) Training plan, 2) Shaping plan (and splitting behaviours), 3) Training journal, 4) Accountability partner, 5) Learning theory (principles of learning and motivation. Not only for horses but for humans too!) and 6) Emotions in Training (not only equine emotions, but also human emotions). I teach them in my online programs and also in my R+ accountability and support group. If you know what it is you want to achieve, it is easy to distill a step-by-step plan from your goal. The difficulty is to determine: what are your goals and how important are they? Ask yourself: is my goal really my own goal or is it more or less influenced by others? It is harder to achieve a goal if you lack intrinsic motivation . You can’t always influence the extrinsic motivators so if they disappear what’s left? If your motivation is to get compliments or approval from your fellow equestrians and nobody notices it, it can be a real disappointment. It will be much harder keep going. Or maybe you are working on something your instructor wants you to do and you don’t see the value in this particular exercise. If you’ve been teaching your horse something because you like it and you enjoy the process of teaching it, you will feel the satisfaction of your accomplished goal much longer. Therefor you will be looking forward to working on your next goal. So, think about your equestrian goals. Ask yourself if it is really you that wants to achieve it, or is it someone else’s goal? Think about what it feels like when you’ve accomplished your goal. Do you want it because you like it, or do you want it to get approval of an outsider or maybe you think you are supposed to do it. I know a lot of people who don’t ride their horse for various reasons. They all feel more or less pressured all the time to defend their choice to outsiders. I know some of them will ride because ‘it is expected’. As you can understand this kind of motive will not give pleasure. Riding can become a real struggle. Sometimes you have to let go of goals. That can be painful. Keep in mind that is is OK to change your mind and your goals. It is easier if you understand why you want to let go of your goal(s). If you don’t like to ride your horse because you’ve discovered that you have a fear of riding (a real taboo for equestrians) you can choose to work on your fear with a trustworthy instructor who respects your boundaries. Or, you can choose to let go of your riding goals. If you know what motivates your choices it is also much easier to ‘own your story’. Sometimes you discover that your goals or motivation have changed and that it’s time to redefine your goals. It is much easier to work on a goal that you really want, than a goal that has been expired. One way to keep yourself motivated is to keep track of your achievements by keeping a training journal. Most people have a tendency to compare themselves to others, which is almost never a fair comparison. I’ve heard someone once saying: “You always compare the best of others, to the worst of yourself.” Yes, sometimes this is true. Better compare yourself with… yourself. The only fair way to do this is to keep track of your own journey and to realize often how far you’ve already come. It is your journey and as long as you are making progress you are doing a good job! Keep that in mind. Next time I will write more about shaping plans. Thank you for reading. Let me know how what you think is a valuable skill in clicker training and why.